Corflute signs are a great low-cost option for promotion and information signage. 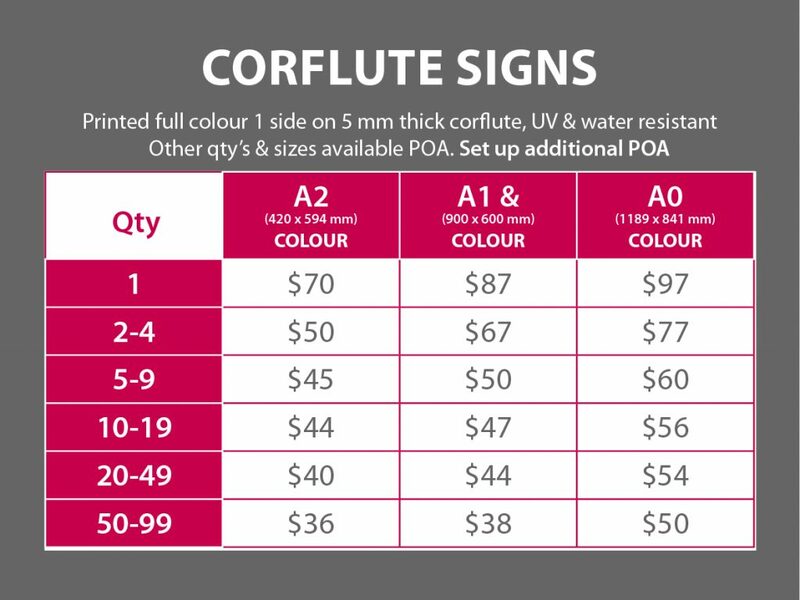 Perfect for A-Frame signs, corflutes keep expenditure low when replacement inserts are required. We can design and print your corflute signs on time and on budget.